It’s Saturday morning at the lake. The sun is shining, there is a light breeze, and all is well. 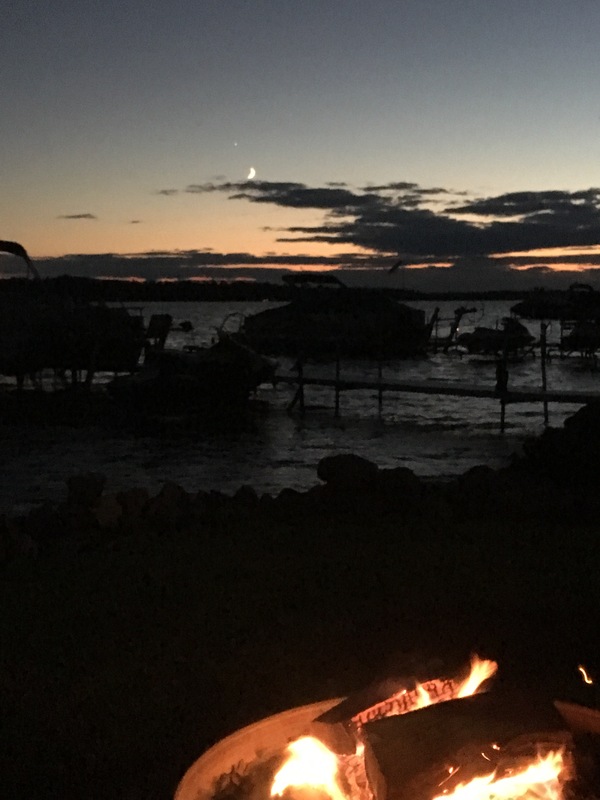 We have friends visiting for the weekend and last night we enjoyed a campfire as the moon and Jupiter set in the western sky. This post is inspired by the Word Press Weekly Photo Challenge: Morning and Margaret at Pyrenees to Peninnes. Note: this post was composed entirely on my smartphone – an iPhone 6s. I’ve been finding all sorts of ways to spend it: playing, campfires, s’mores, water sports, fireworks, driving, remembering, visiting, learning, thinking, writing, and so many more. This morning, grandma heads home. I’ll be driving her halfway home to meet my nephew who’ll get her all the way home. It’s been a great visit, it’s been nice to see her and I think she had a good time, I know we did. 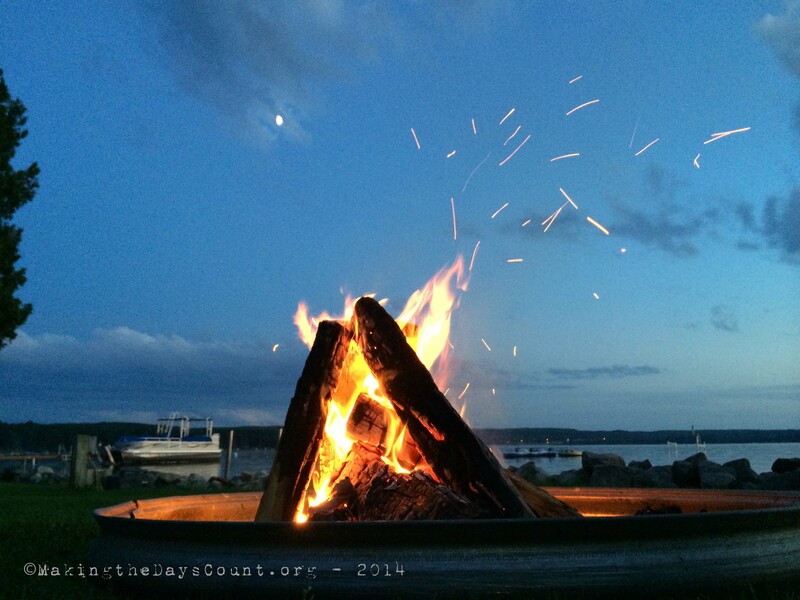 At last night’s campfire the ‘sparks flew’ and I captured a slice of summer. There’ve been so many days this summer and though I wish we had 104, I don’t think I could have used them any better than I have. The chorus repeats…..
Today is gonna be a great day, I know it and I can feel it, so I’d better jump up, jump in, and seize the day. Making the Days Count, one day at a time, because all it take is one spark. How have you made the ‘sparks fly’ this summer? 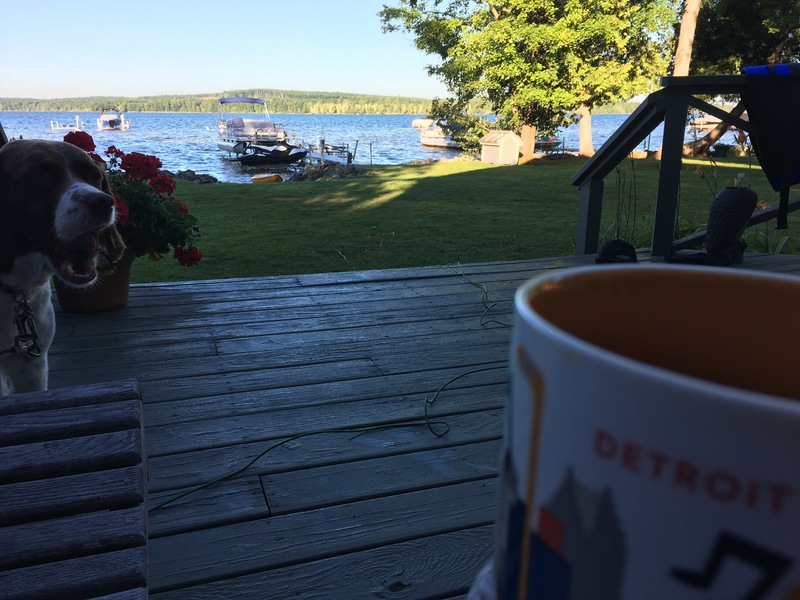 Summer means so many things – it means sunny warm days, cool nights, road trips, family, swimming, boating, sleeping late, staying up long after dark, gentle rain showers, and campfires beside the lake wrapped in a beach towel to keep my back warm…. It also means keeping it short and sweet like a melted marshmallow with a chunk of chocolate on a graham cracker… I can even taste it…. 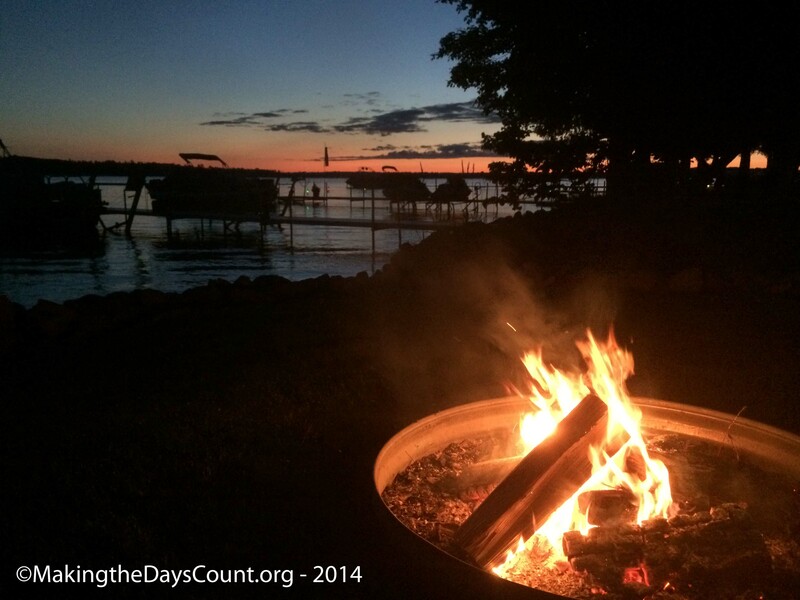 Making the Days Count, one day at a time, one summer memory at a time…. What summer memories do you have? Today’s post is in response to the Daily Post’s Weekly Photo Challenge – prompt – at Word Press. The week’s prompt is “Summer Lovin’.” This week, share a photo that says summer lovin’ to you. It might be a favorite pair of sandals you can’t bear to part with, the homemade salsa you made with veggies from your garden, the flowers you planted, or your family frolicking on the beach. If summer is on the way in your hemisphere, show us something hot hot hot: your homemade sriracha sauce, some friends shuckin’ and jivin’ on the dance floor, or even the furnace or boiler that heats your home.